Custom ordered, this timepiece arrived after over 2 years on the waiting list. 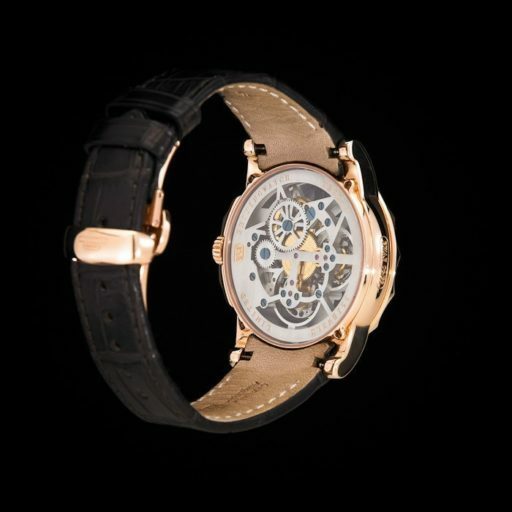 This is a grand complication masterpiece made by a special atelier inside the best high-end watch manufacturer in China. 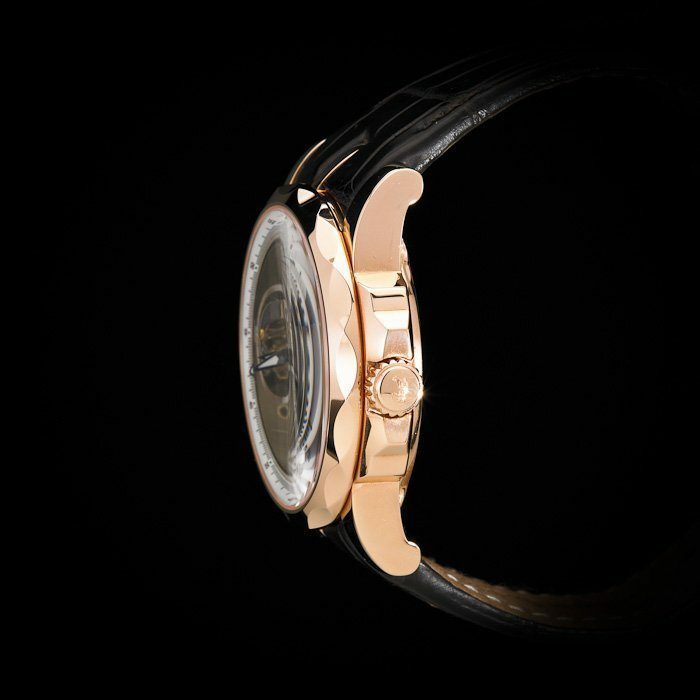 This piece is created to rival the best Swiss makers in terms of technicality, craftsmanship, design, and finishing. 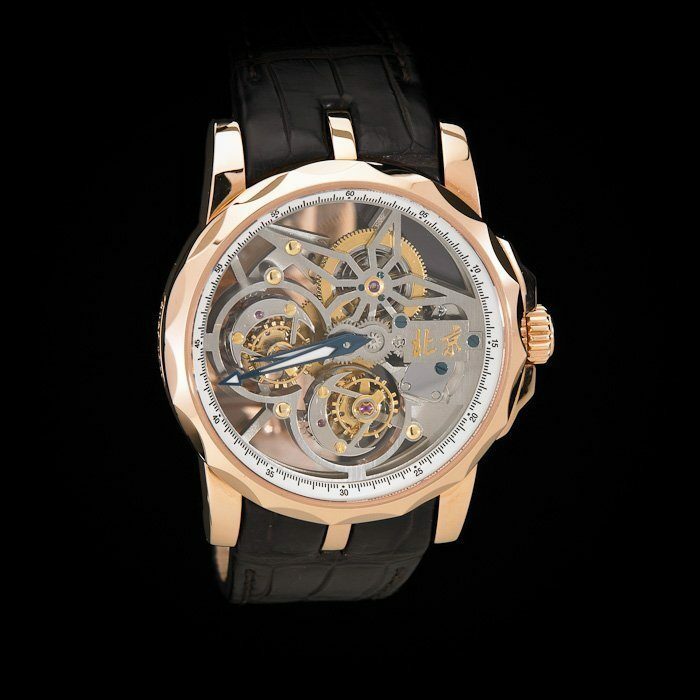 It features a completely in-house designed double tourbillon manual-winding movement. 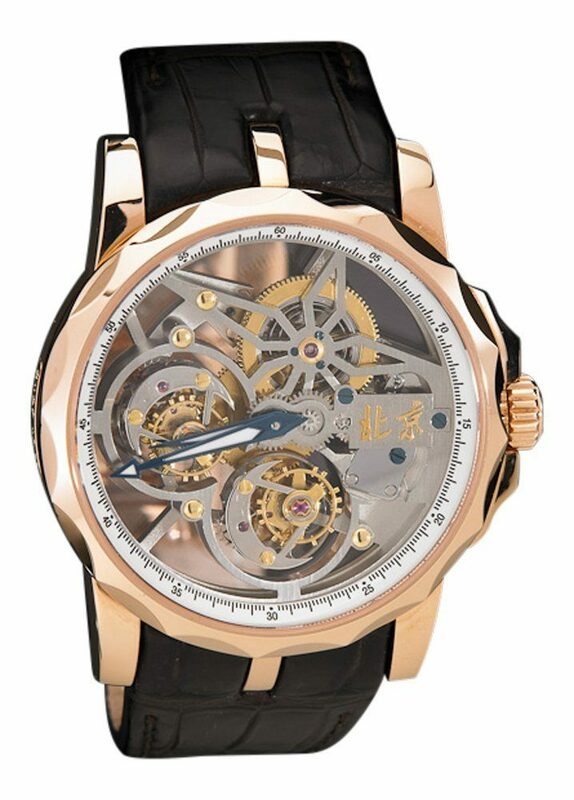 It is also skeletonized with “Beijing” written in Chinese characters in script calligraphy. The back of the movement has a matte gray finish to give it an avant-garde look. 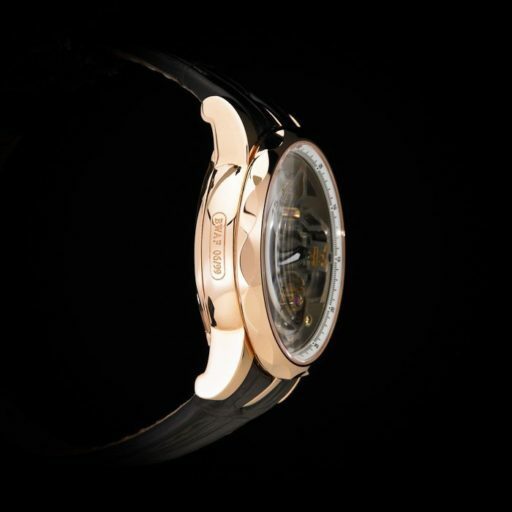 The double tourbillon movement is much more difficult than a single tourbillon. Not only is it theoretically more accurate than a single tourbillon, it is extremely fascinating to look at, as the two tourbillon cages are turning at different directions. This is a dynamic and intellectually stimulating complication.